Who is Chad Lane? Chad was consistently named as the favorite among his coworkers, so there must be something interesting about him. 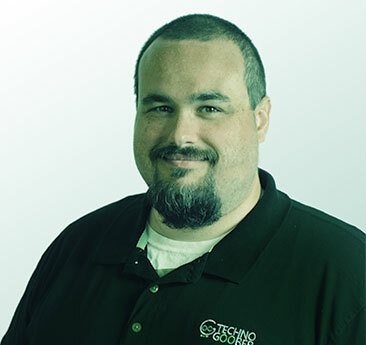 Chad is the other expert web developer in Techno Goober’s web office and has been with the company since the beginning. He describes his relationship with Nate and the rest of the Goobers like a family. Sometimes you love them, and sometimes you want to kill them. Learn more about Web Development and Web Design from Chad. On a scale of 1-10, Chad is a definite Nacho. His favorite memory from working at Techno Goober is the company outing to paradise Grill. To learn more about Chad, call Techno Goober. He answers the phone sometimes. Keep up with Chad and the other Goobers on the Techno Goober Blog.